Our storage units have 12 foot ceilings (most storage units offer 8 foot ceilings) and offer a full 50% more storage space than our competitors. Our units are new, safe and offer 24 hour security surveillance. Holds a chest of drawers, office file boxes, chairs, clothing, tall items like lamps and coat racks. Holds much of the contents of a small one bedroom apartment, excluding major appliances. Storing away old belongings is one of the best ways to create extra space in your home. Whether you have prized possessions or spare junk, packing it away in storage units is a great option. 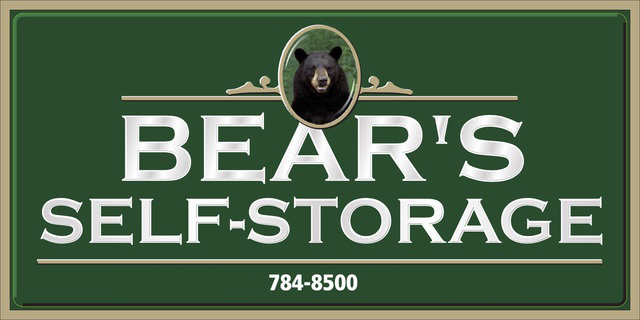 Bear's Self-Storage of Auburn, ME has every size storage space you could ever need. Check out our choices and pick the one that works best for you. When you need extra space, trust your stuff to Bear's. Email today to learn more about our spaces and discover the value of self-storage. Copyright © 2019 Bear’s Self-Storage, all rights reserved.